Europe can always be viewed from a different perspective, even if one has already been there umpteen times. 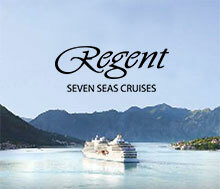 Going on a cruise in Europe offers another experience of sight-seeing and regional exploration. The drawback of trying to explore a city by foot or public transportation is the feeling of being overwhelmed by the foreignness. Instead of enjoying your vacation, you may find yourself rushing about, figuring out how to get to difficult destinations, and struggling to complete all the items on your checklist. This is not the case with a wholesome and laid back cruise, where the journey is specially curated for you by our tour specialists. The best thing about touring Europe via cruise is that some of the most picturesque cities and towns are built by the sea or near a large river. This means you will have more time to step and walk right into town, and you can literally stop and smell the flowers. Nothing will come close to the magical experience of seeing the Northern Lights, and it’s not just photographers who say so. 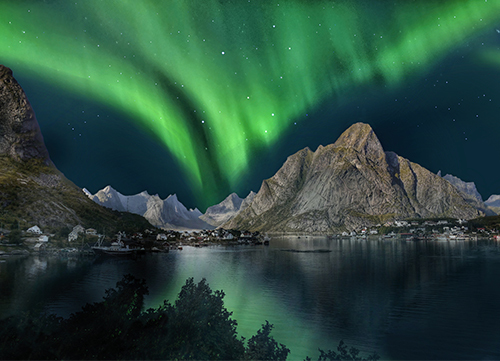 Being one of nature’s most ethereal and enchanting phenomena, the Aurora Borealis has bedazzled both foreign and local visitors alike. This is why visiting this place has always been among the top of almost everybody’s bucket list. The perfect time to witness and see the Northern Lights is anytime between September and late April. When you travel to the towns of Finland, Norway, and Rovaniemi, you’ll get the best view because these places are above the Arctic Circle. Aside from the northern light, you’ll also get to experience longer winter nights. If you visit the southern part of Scandinavia to see the northern lights, the best time to do so is between October and March. On the other hand, if you want a gastronomic experience, try Copenhagen. It boasts of Michelin-star restaurants like Noma and Mielcke & Hurtigkarl. Aside from the fairy tale-like city and its friendly people, food is the ultimate deal-maker for Copenhagen. 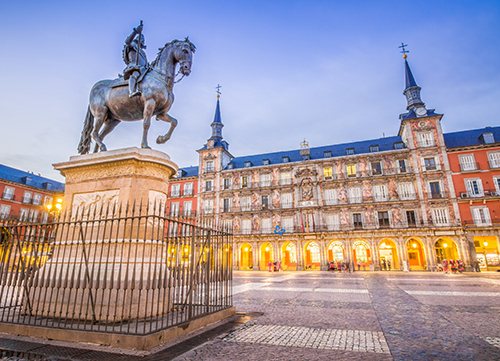 Being one of the biggest countries in Europe, Spain is home to magnificent cityscapes, modern architecture, great rivers and beautiful beaches—a perfect recipe for a great holiday! Spain is geographically diverse and culturally distinct too. When you get to visit the country, you will be amazed of the great Madrid cityscapes, Barcelona architecture, in contrast to the lush and rugged landscapes of the country. Striking ancient buildings, astonishing Roman watercourses and aqueducts, and glorious Gothic basilicas are also sites to behold in this country. On top of that, Moorish palaces make the right fit for history lovers who love to marvel on preserved medieval castles. For art lovers, Spain is a must-visit. The country is actually home to world-renowned artists, museums, and art galleries. You will surely feast your eyes on these wonders. Spanish food is also to die for. When you visit Spain, you will get a taste of their traditional treats and dishes such as Rioja and Cava wines, paella, and gazpacho. Spain is an exciting country to visit also because of the welcoming and homey feel from its people. Their zest for life and fun is quite contagious so you’ll wonder why you want to keep coming back for more. Indeed, Spain is a diverse and fanciful country to visit. 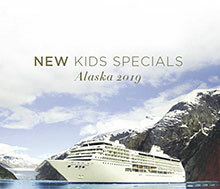 There’s so much to discover and experience in the country, making it a dream destination for Europe cruises. To witness beauty and grandeur is a gift. 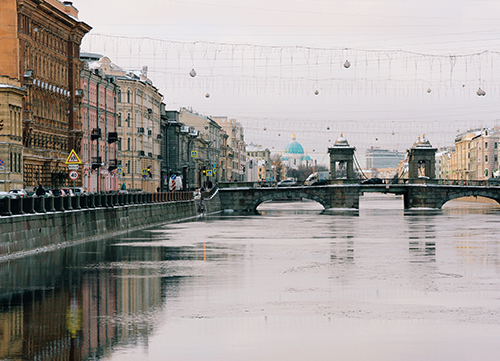 Saint Petersburg has more than 300 bridges and is even known as the “Venice of the North” because of its numerous Venice-like canals. River cruises in Saint Petersburg will take you on a splendid tour, allowing you to have spectacular views from a vantage point. The boat ride will last for about an hour but could be a bit more. You will get to experience riding under the widest bridge all over Europe while you learn more about the history of the place and while you also visit breathtaking sights. The river cruise is the best way to tour the city because it will allow you to visit a lot of great spots in a short time. The different waterfront locations will give you an almost surreal riding experience. Tallinn, Estonia is another dream destination. Aside from the fact that it’s one of the five best countries in the world with the purest air, Estonia is surrounded by forests, lakes, sea, and islands. Having over 2,000 islands, the country should really be on your bucket list of places to visit. Tallinn, the capital of the Baltic state, is actually located on the northern part of the state and is largely a walkable city so it’s very ideal for river cruises. You can just step out of the cruise ship, mingle with the locals, and have one great travel experience. Sea, sand, and sunshine. This is what Greece is best known for. Being a dream destination for most travelers, the view and the feel of the grand islands of Crete, Rhodes, and Santorini easily awaken the hopeless romantic in one’s soul. In Santorini, you will also be amazed of the beauty presented by the whole island and of the majestic Aegean Sea. There are also almost 300 private churches which are considered icons of the Cyclades islands. Each of these is dedicated to a different saint and only opens their door to the public once a year. See and experience the gleaming turquoise of the ocean, the rich aroma of wild thyme, and the sugar-cube houses in sun-drenched lemon coppices. The laid-back and easy Mediterranean vibe is what’s most enjoyable for every traveler. 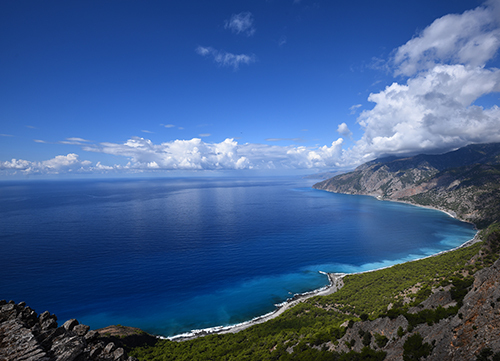 When onboard a cruise in Greece, you will also get to visit nearby countries like Croatia, now well-known for its dramatic landscape and for being a filming location of the popular TV series “Game of Thrones”. Days in the sea are also great for relaxation and exploration. This will give you the time to simply sit back, enjoy the warm sea breeze blowing on your face, and just be in awe of the kind of wonder before you. Incredible islands, scrumptious food, and fun activities are the top three reasons why Iceland is a must-visit. Starting with the fun activities, on top of the list is the glacier hiking. Aside from merely walking on glaciers, now, you can actually go inside the glacier and experience living in an igloo. Now, on to food. Reykjavík, a city in Iceland, is slowly being recognized as a foodie destination because of its sophisticated restaurants giving traditional dishes like Matur og Drykkur, a new and exciting twist. Also, there are restaurants which are starting to carve a niche for the use of scavenged ingredients in their dishes. Aside from food, Icelandic beer is also coming back with a bang! Blue Lagoon is considered as Iceland’s most popular destination. 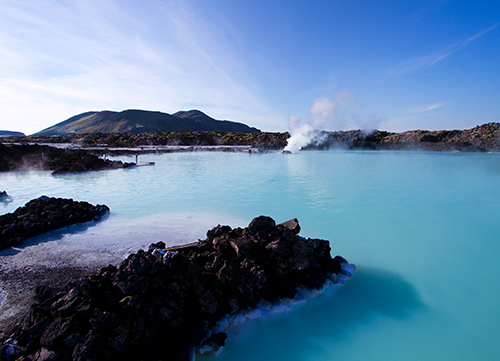 Its blue water and the cottony clouds of steam makes it a geothermal wonder. Aside from Blue Lagoon, visitors can visit and take a dip in Krauma, a posh geothermal complex north of Reykjavik. In the Eastern part of the country, especially in East Fjords, you can enjoy certain activities as black-sand beach walking and wild reindeer sighting. The quiet environment is perfect for meditation, relaxation, and even soul searching. If you’re into fishing, you can go to the fishing villages and immerse with the folks there or you can also go deep-sea fishing. 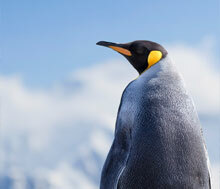 Iceland is major part of the itinerary of the river cruise in Europe. You will get a lot of time to explore the area when the luxury ship docks. Though Italy is lesser known for river cruises, the discovery of the Po river opened the doors for gastronomy lovers. 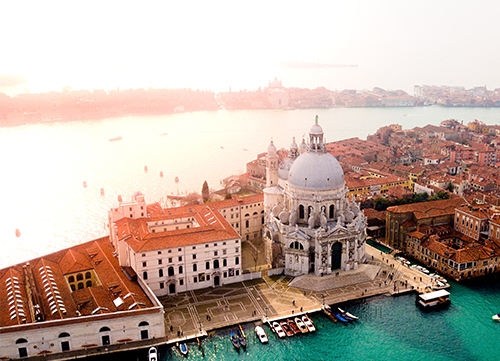 The Italy river cruises center around Venice and offer Venice canals and cathedrals explorations. The Po river actually passes through La Bassa Padana, a region best known for their classic Italian dishes and delicacies --- one of the main reasons why a river cruise in Italy is a must-try. Who would say no to the grandeur of Rome, Bologna, and Florence? There, you can physically pay a visit to the countless historical architecture and renowned works of art. Italians are known to be warm and sociable so you can walk through town and stop by for a chitchat over a cup of coffee and pizza. La dolce vita indeed! The lush Tuscan vineyards, the dusty countryside roads, the streams in the middle of nowhere, and the rosy sunset of Rome all make Italy a lovely sight to behold. The streams, rivers, and canals of Italy are the picture-perfect places to go on a lovely river cruise. You will get to experience the amenities and comfort of a luxurious hotel while you let your eyes indulge on these scenic places at the same time. What can be better than that?